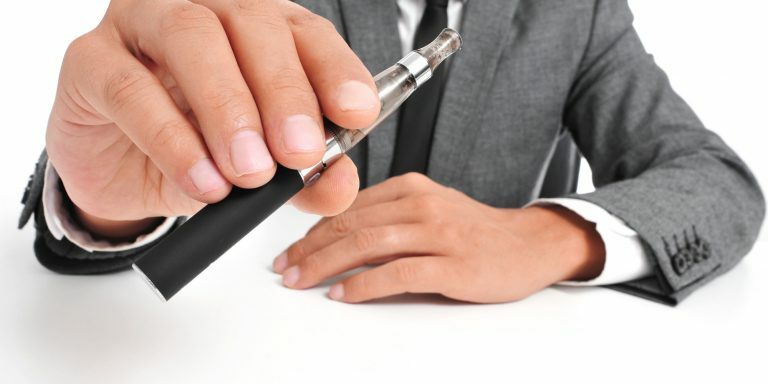 WARNING: Mechanical Mod Batteries can be dangerous if you do not know what you’re doing, we highly recommend reading the Mechanical Mod Beginners Guide and the Kanthal Wire Beginners Guide before attempting to do any Mechanical Mod builds. 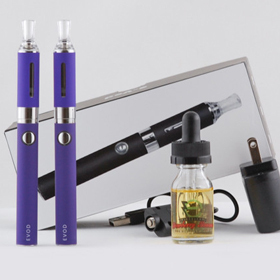 The Efest IMR 30Am/ 3.7 Volt 18650 2100mAh for Mechanical Vape Pen Mods will be the perfect fit for all you Mod needs. 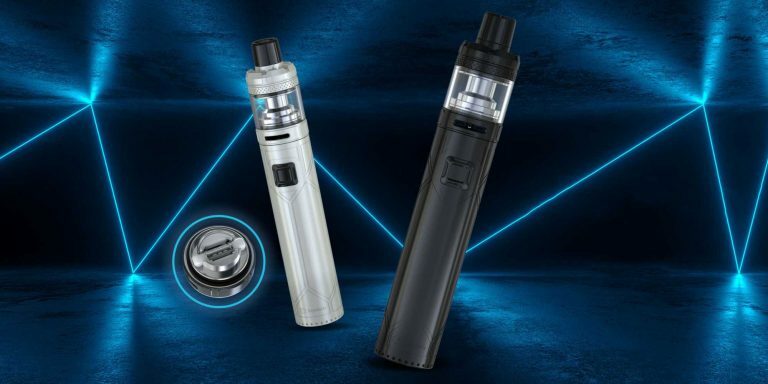 No need to fret about massive clouds with this one, the Efest 18650 2100mAh is a BEAST and will provide amazing power to whatever RDA or RBA you are running. 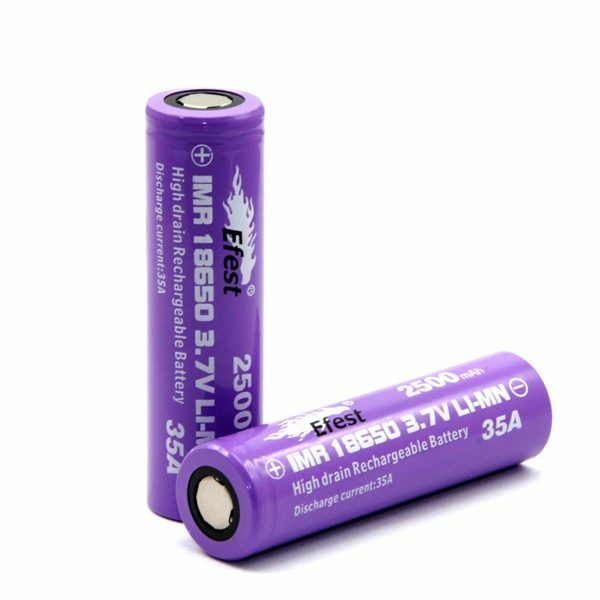 The Efest IMR 18650 Battery has a 2100mAh discharge rate rechargeable battery with flat top, with Purple PVC. 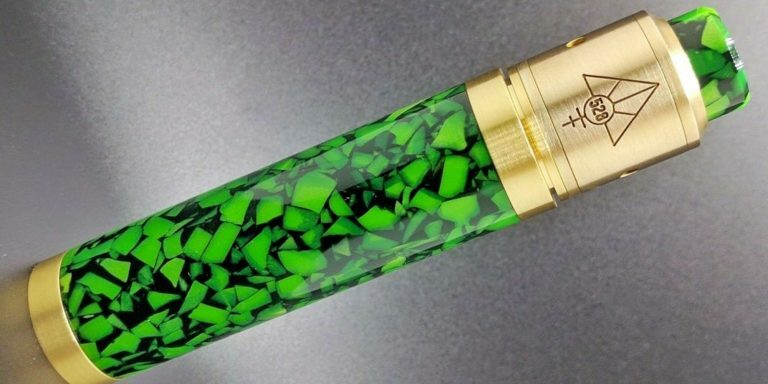 If you are building mechanical mods, you have probably encountered the need for specialized batteries. 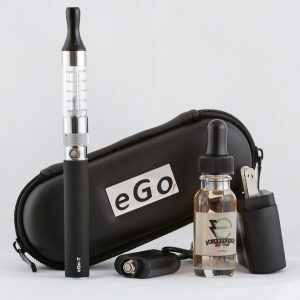 The Efest IMR 30 Amp 18650 is a rechargeable battery with a 2100 mAh discharge rate is perfect for all your mechanical vape mod needs. 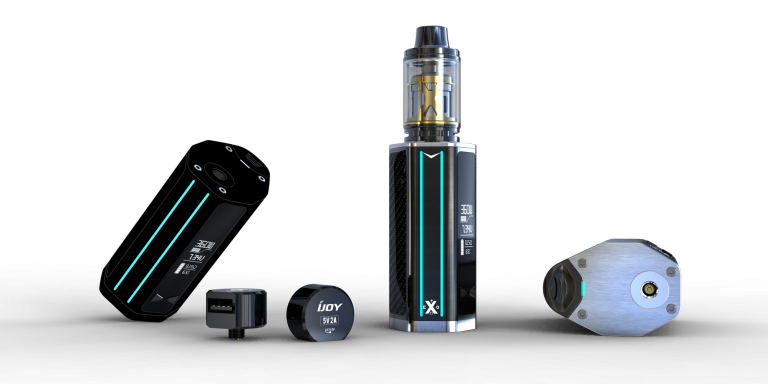 When building Mechanical Vape Mods, its crucial to have a battery that will withstand the OhmsΩ or Resistance that you are creating. This battery with 30Amps and 3.7 Volts will handle pretty much anything you can throw at it. 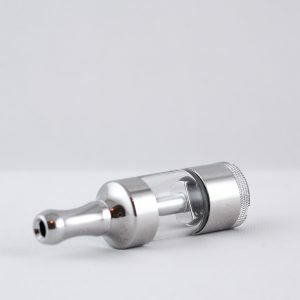 Start building your set up and drop this bad bod in, watch your clouds fill an entire room! 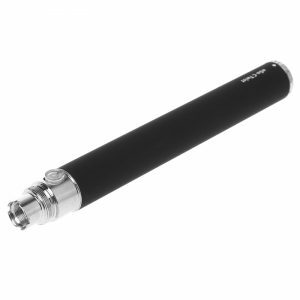 Put your trust in the Efest 18650 Battery, it will not let you down! LiMN Safety: This is a very stable, very safe chemical composition for a battery, with a very low risk of venting with flame or of explosion. Therefore there is no need for an additional safety circuitry with this battery, since the chemical composition itself is very safe. 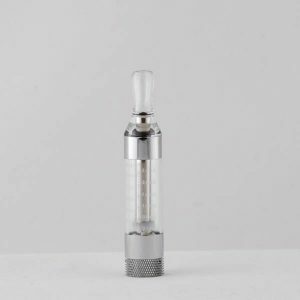 The lack of additional safety circuitry means that the battery itself is slightly shorter and therefore fits well with most mods. Maximum charge 4.25 volts: Due to the lack of safety circuitry, it is recommended that the battery not be discharged below 2.5 volts. Discharging the battery below 2.5 volts will shorten the life of the battery. 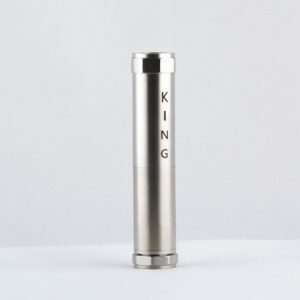 Multiple model compatibility: This battery is compatible with any 18650 Mech Mod Casing. 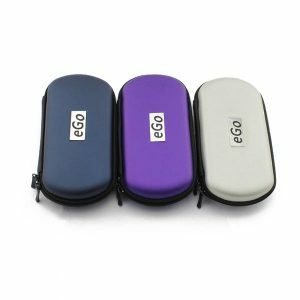 Purple PVC exterior: Stylish purple color for your vape pen mod. 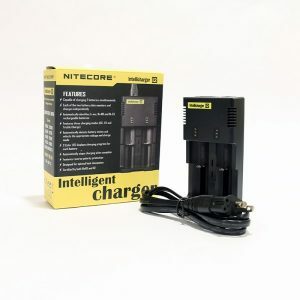 Warning: Due to the low resistance of the IMR cells, this battery can overcharge on certain chargers. It is recommended that you check the charge of the battery immediately upon unplugging it from the charger. If the battery is charged above 4.25 volts, it can shorten the battery life. Use caution when using a new charger and do not allow the batteries to become overfilled.